Three cheers for gorgeous flowers! 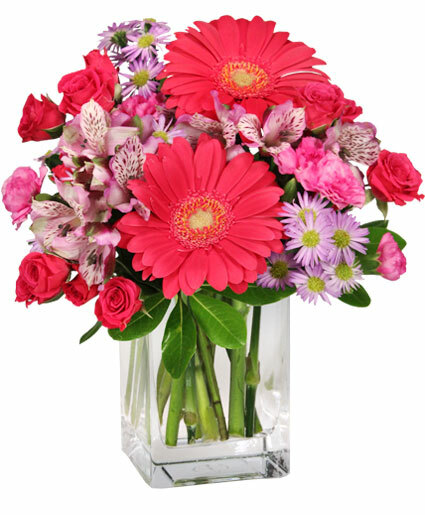 With a variety of gerberas, spray roses and carnations cuddled by festive greenery, this arrangement is a perfect encouragement or congratulations. Send someone your thoughts and well-wishes with this cheerful basket of comforting flowers!